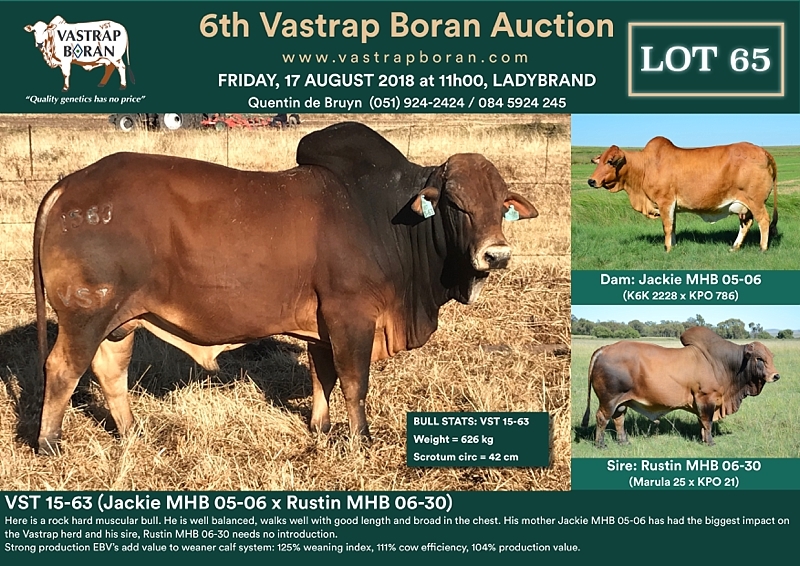 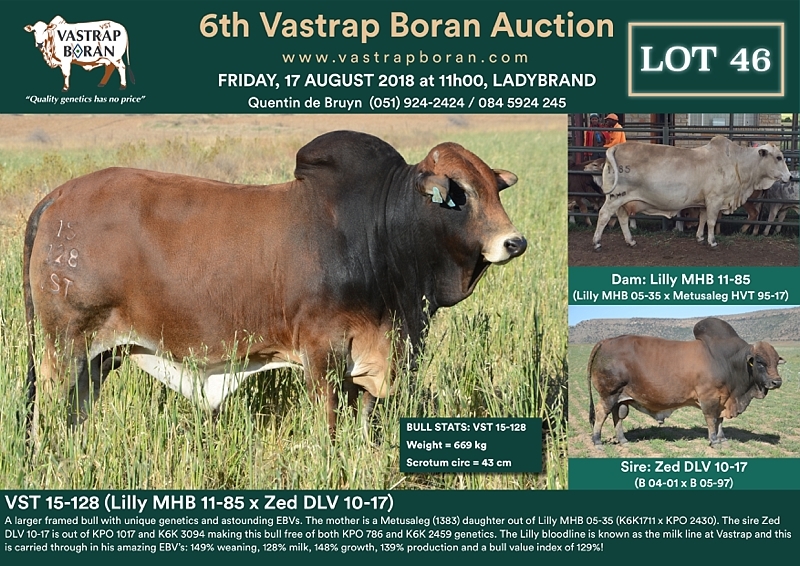 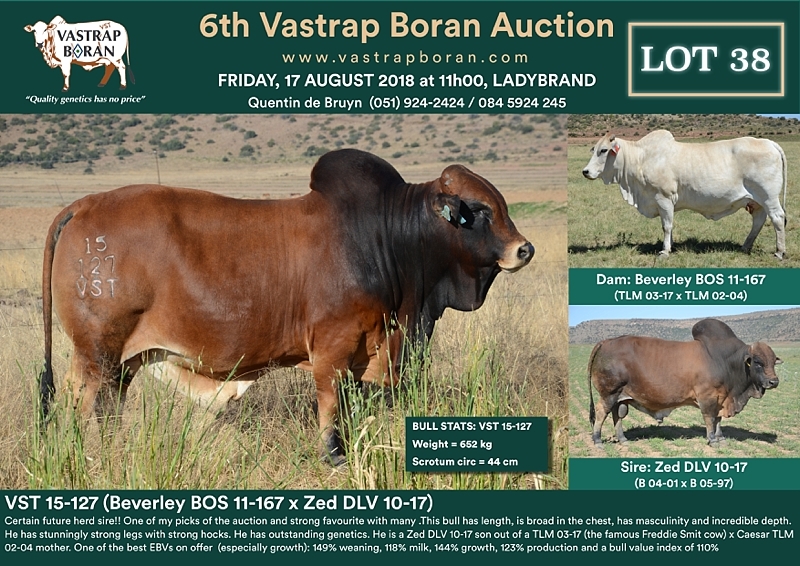 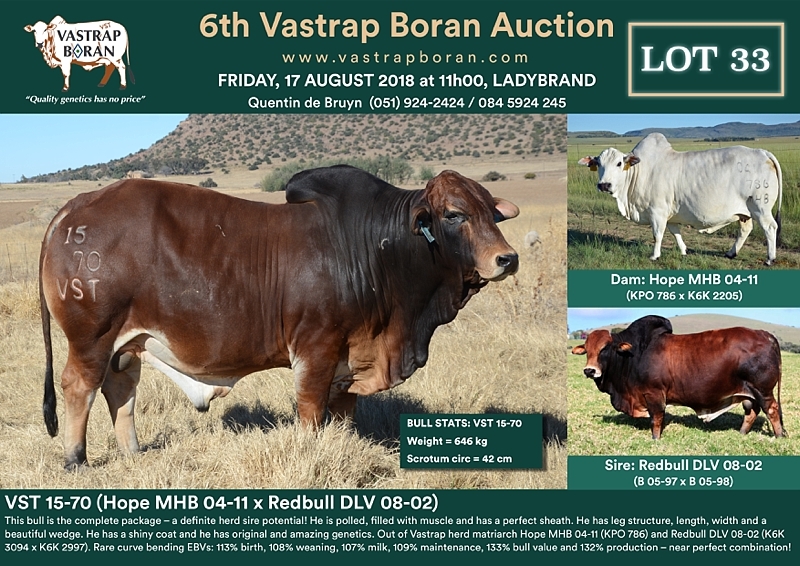 We will be offering 18 of our best performance tested 3 year old SP Boran bulls at the 2018 Vastrap Auction and a few bulls from our Guest Sellers. 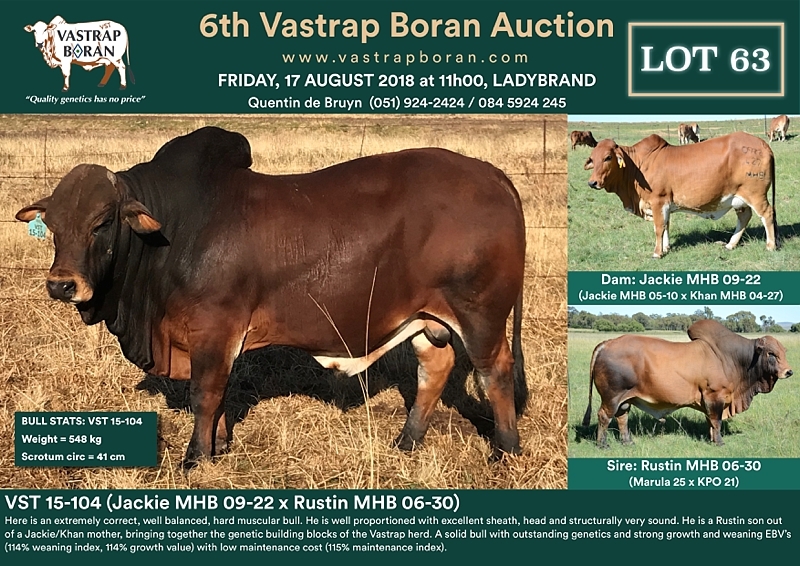 We aim to breed hard masculine bulls with manly heads and muscular hocks and forearms. 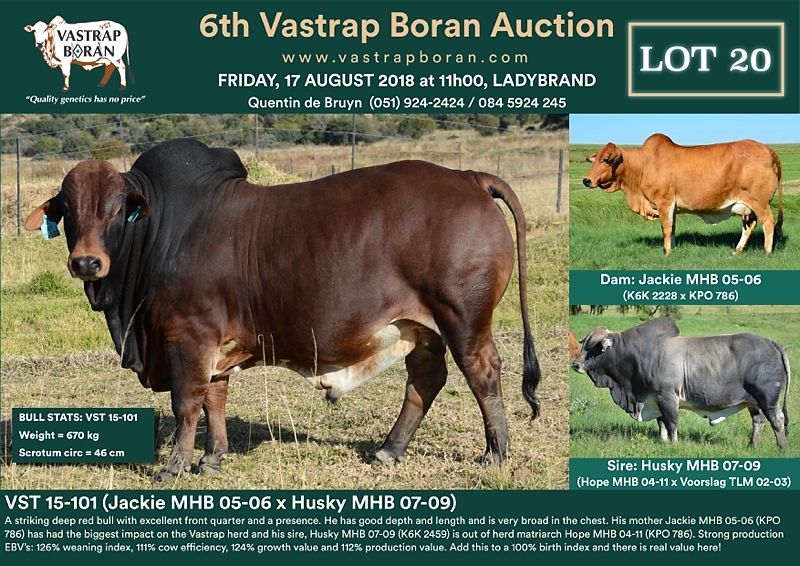 We like larger framed bulls with broad chests and strong straight backs. 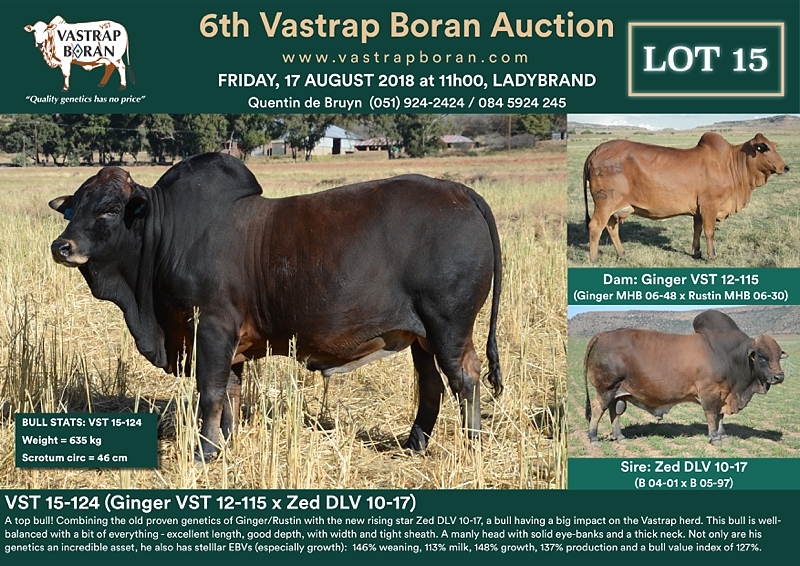 They have been selected on their performance relative to each other in veld conditions and all underwent Studbook Phase D performance testing. 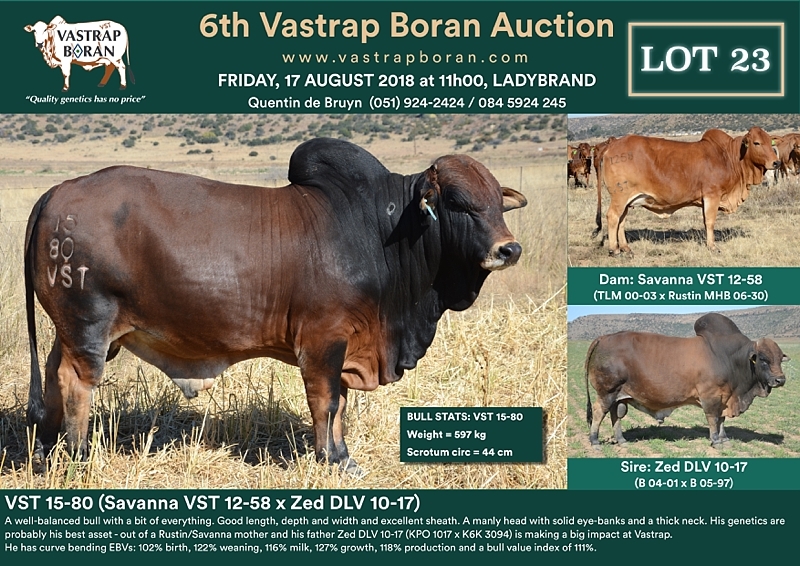 Vastrap bulls are highly adaptable and ready to work! 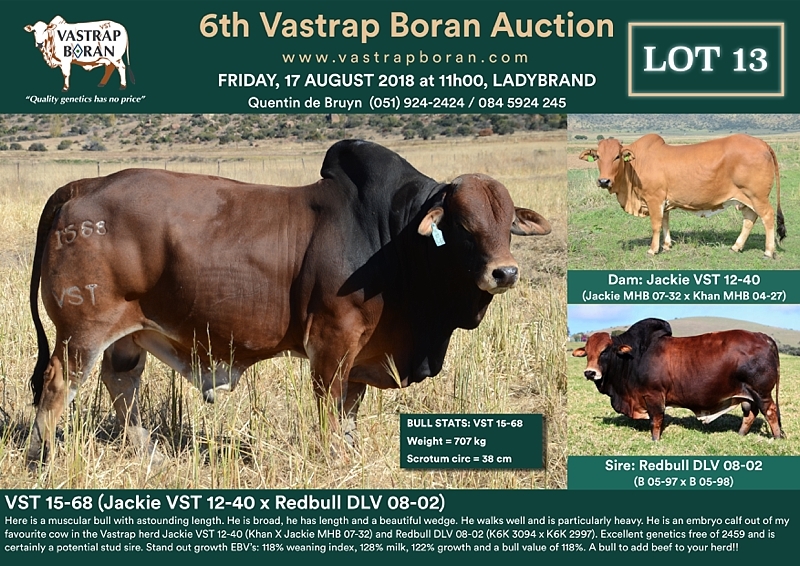 (see article on Vastrap Auction Bulls). 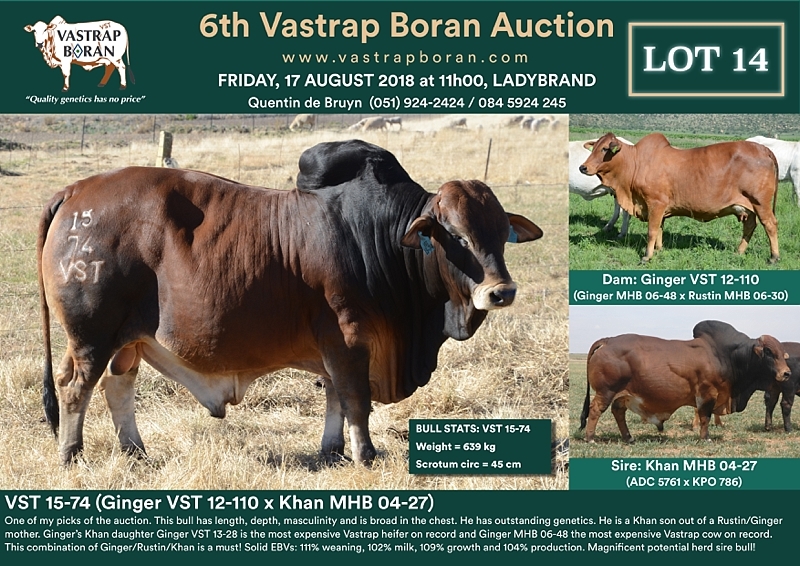 All our bulls are DNA verified. 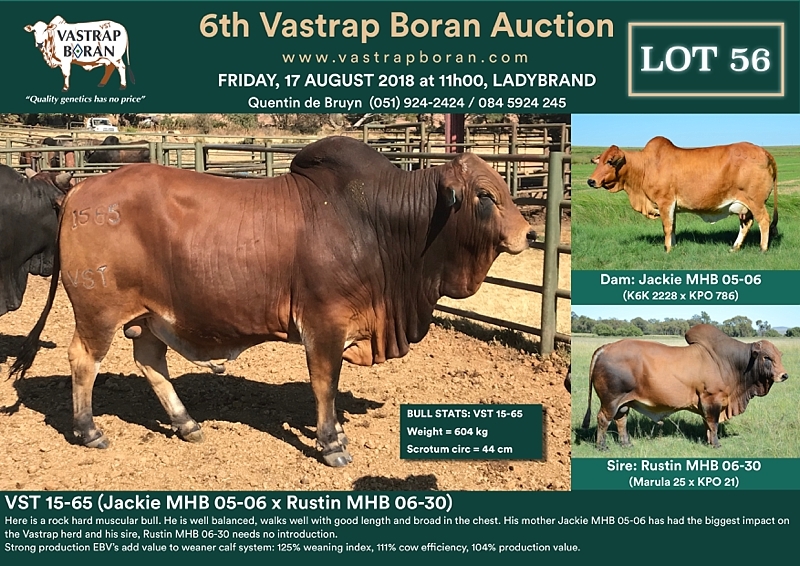 Bulls CA and TB tested and sheath washed for trichomonas and vibrio. 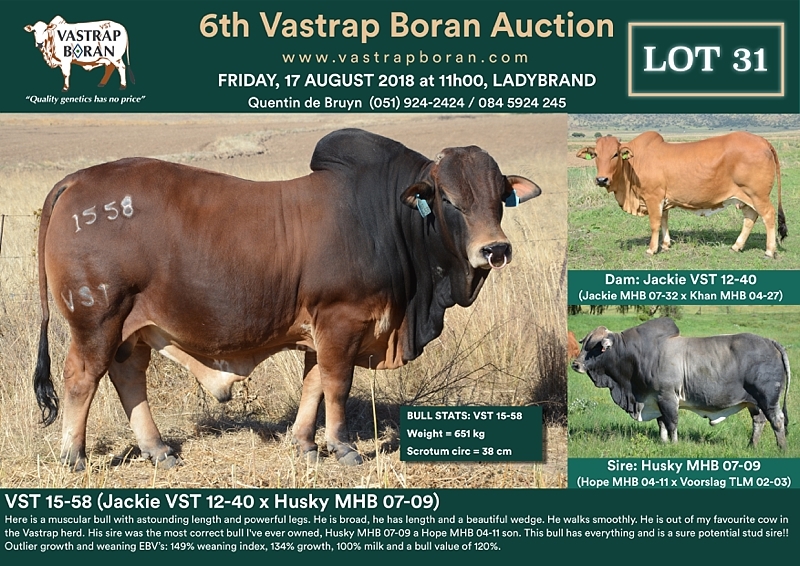 Inoculations: Blanthrax, lumpy skin, Bovishield, Trichguard & Covexin. 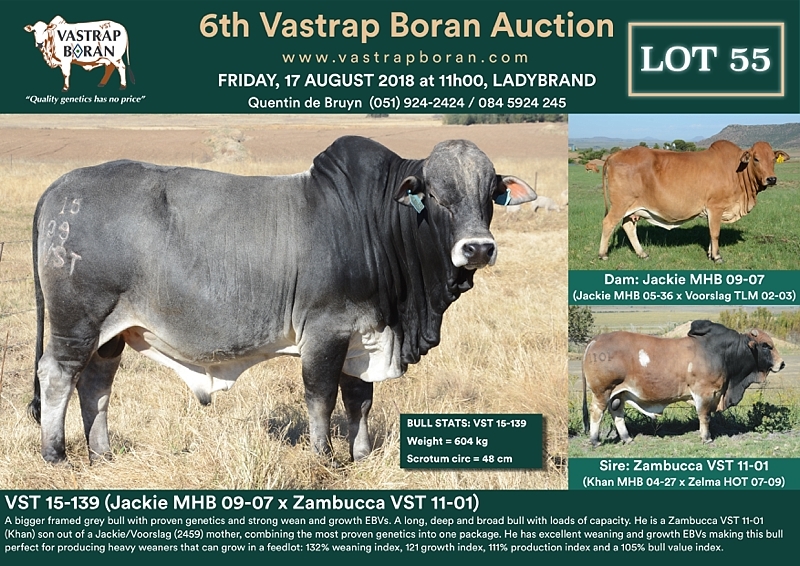 Production records: birth weight, wean weight, 12 month weight, 18 month weight, Phase D performance tested.